Tweakservers who has been an authorized SmarterTools partner since 2009 today announced a special promotion discount of 30% price off from the normal 10% retail savings for all new license purchase of any of the SmarterMail, SmarterTrack and SmarterStats license for entire month of January 2015. This promotion only applicable for NEW license purchase but if you are an existing SmarterTools customer who hold any EXPIRED SmarterTools license which you intend to renew the upgrade protection, you can ride on this promotion by going through the route of buying a new license as it will give you an additional 10% discount savings as overall compare to renewing your existing EXPIRED SmarterTools license key. On top of that, every NEW license purchase will provision you 2 free email support ticket compare to 1 as when you do the renewal of your license. Through this promotion, a license of SmarterMail Enterprise Unlimited mailboxes which price at SmarterTools retail $1399 will be discounted to $979.30 compare to the normal 10% price of $1259.10. This promotion also provide an extra savings option for customers who hold any EXPIRED support maintenance license key to purchase a new license at $979.30 as renewing the expired support maintenance license will bring in the cost of $1070.24. Apart from the special discount of 30%, Tweakservers is also the only SmarterTools partner that provide FREE SSL certificate and Uptime Monitoring Service for every new purchase of any of the SmarterTools license. Customer would be able to enable a secure webmail access through the free SSL certificate and monitor their SmarterTools install instant 24x7x365 with instant alert notification. Tweakservers provide Digital SSL Security Certificate, SmarterTools licensing, PRTG Network Monitoring Tools, Desktop & Server AntiMalware at huge discounted RRP price. We have customers from large-scale web hosting companies as well as single server system administrators. Founded in 2003, SmarterTools Inc. is an information technology management software company based in Phoenix, Arizona. SmarterTools builds a Windows mail server, customer service software, and Web log analytics and SEO software that simplify and automate the day-to-day IT operations of businesses and hosting environments in over 100 countries. 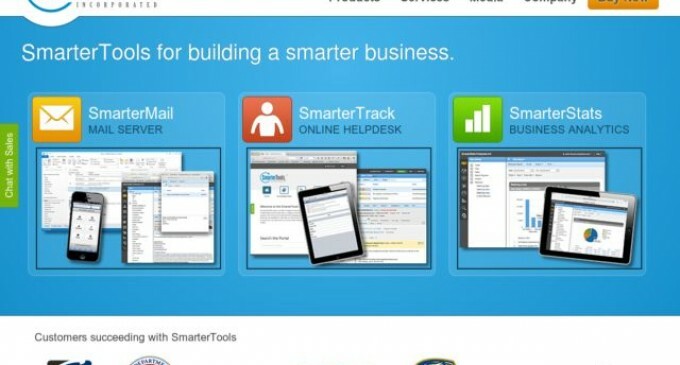 Additional information about SmarterTools Inc. and the SmarterTools product line is available at the company website: http://www.smartertools.com.